Torre De Triangulo Condominiums: Stay in your very own condo! This prime real estate seventeen story building features light-filled, comfortable condos that were built quite recently. All rooms are beautifully furnished, each with a breathtaking view. - Sheraton Montevideo: Located in the residential area of Punta Carretas, the Sheraton Montevideo Hotel is convenient to the city centre, city beaches, and the Club de Golf del Uruguay, Montevideo's most notable golf club. - Punta Trouville Apart Hotel: Located in "Pocitos", along a beautiful and quiet residential area, full of trees and only a short walk from the beach, the hotel is close to the most exclusive shopping centers in the city where you can find plenty of restaurants, bookshops, fashion stores, supermarkets and spa. - Hotel Ermitage - A wonderful find, you cannot book this hotel on the huge travel websites. It has beautiful ocean and city views, and is located in an historic city square in the residential section of Montevideo. - La Bluette Boutique Hotel: LUXURY, PRIVACY & SPECTACULAR OCEAN VIEWS The Hotel La Bluette was designed for pleasure, relaxation and enjoyment of the breathtaking sea, sky, and sands of Punta del Este, the crown jewel of South America. - Hotel Amsterdam: The Hotel Amsterdam is an ideally located hotel in Punta Del Este. On the coast, in the heart of the Punta Del Este peninsula, it is close, not only to the beautiful beach, but also to commercial and cultural places of interest, including Gorlero Avenue, the most popular street in Punta. - Club Hotel Casapueblo: Discover the most exclusive refuge you can enjoy all year long! Casapueblo will bring out the best of you. The sea will seduce you with its majestic white surf, and the amazing sunsets will touch your soul. 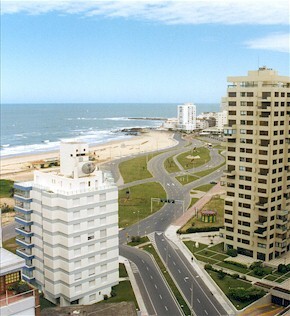 Casapueblo has become the definitive tourist symbol of Punta del Este and is one of the most popular resorts in all of Uruguay. - Barradas Parque Hotel: The picture of refinement and culture, this wonderfully situated hotel presents a sense of class and sophistication. Original artwork adorns the walls, fragrant lush gardens encircle the hotel. The list of amenities goes on and on. - La Posada de la Flor: A charming and picturesque establishment. Only 45 minutes by ferry from Buenos Aires, this an original Spanish Inn located on a beautiful cobblestone street. For more info, click HERE. - Hotel Royal: Located in Colonia. - Hotel Posada Siglo XIX: A unique lodging experience located in a natural, unspoiled location. This hotel is nestled in a landscape of rolling hills. The hotel features warm water springs and much more. Discover Uruguay is proud to offer its latest venture in providing quality services: Uruguay Rental Car. Uruguay Rental Car offers convenience, selection and service! 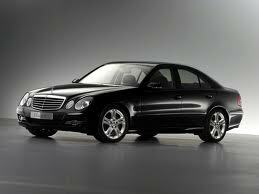 Enhance your vacation experience with a great car rental, provided with quality and dependability assurances. With the resource of over 680 vehicles (the largest rental fleet in Uruguay) we personally will help you choose the right vehicle for your vacation. With advanced booking, you can insure your vacation will be worry free when it comes to transportation. For more information, visit our website at Uruguay Rental Car. Rent your own tour bus with driver! 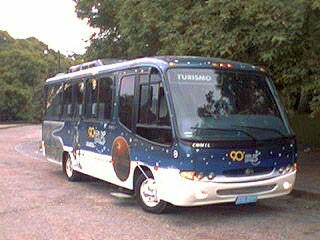 Imagine arriving in Uruguay and having your very own 20-seater bus. The bus is beautiful, hand painted and extremely comfortable. We provide drivers to take you wherever you want to go. We can give you your own custom city tour of Montevideo, or take you along the coast to Punta del Este or wherever else you would like to go. We can also take you to the colonial city of Colonia. Your driver is bilingual. Rent your own tour bus! Imagine arriving in Uruguay and having your very own 20-seater bus. The bus is beautiful, hand painted and extremely comfortable. We provide drivers to take you wherever you want to go. We can give you your own custom city tour of Montevideo, or take you along the coast to Punta del Este or wherever else you would like to go. We can also take you to the colonial city of Colonia. Your driver is bilingual. For those of you who are on a cruise ship, we can provide these services at a much reduced rate from that which will be provided by your cruise line. We will meet you right where your ship is docked. We offer ground services for groups with no minimum and no maximum number of people for sightseeing in our beautiful country. Whether you want a city tour of Montivideo, Colonia, or Punta del Este; or only a transfer, we can give you a price quote. For more information and rates, give contact us, today!